We recently had an hour's interview with Shifa from the Observer daily. She wrote an article detailing various concepts and features concerning Kudu (A mobile-based Auction Market for Agricultural produce). You can read the observer article here. 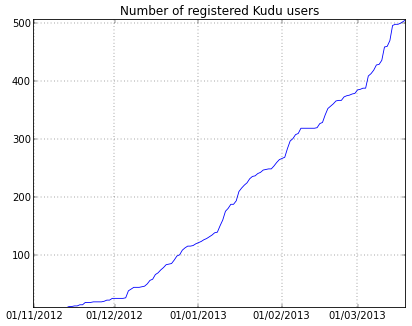 You can also visit Kudu to explore products and features here. Looking at the bids and asks currently active on the system, we can see that this is currently a buyers market: we have 1.1B UGX (439,000 USD) worth of produce for sale, and 293M (111,000 USD) worth of bids. Why an Agricultural Auction Market? In Uganda there has been heavy investment in modernization of agriculture to increase farm productivity through various agricultural educational programs. These efforts have indeed yielded results as far as best agricultural practices for high productivity is concerned. These efforts have not been equally supported with efficient market environments for farm produce, however. Farmers here as in other developing countries face several obstacles in accessing competitive markets for their produce. Despite efforts to increase a wider reach by opening access to international markets, the agricultural market in Uganda remains inefficient (which we can analyse by looking at arbitrage possibilities on past data). The main reason we see for this inefficiency of the market is the flow of information, as most buyers and sellers rely on word-of-mouth networks in order to trade. Several market efforts have been invested in the dissemination of market information with organizations such as CIAT, FarmGain and InfoTrade (FIT Uganda). However, these efforts are not as efficient as a market-based system for the information gathering process. FarmGain and InfoTrade for example obtain off-line prices which they upload into online databases. The accuracy of these data collection efforts is limited: it is difficult to get unbiased price figures from respondents, who tend to have an interest in over or under-reporting prices, and it is difficult for any survey effort to collect information on a regular basis as expected for frequently changing prices. Other information services such as Google Trader and some other online services, also tend not to reach rural users because they mostly provide listings which are difficult or impossible to navigate with a basic phone. Most rural farmers and traders do not have internet-enabled devices, and also have an expectation of face-to-face negotiation. A mobile market system is a better alternative than these ideas, since buyers and sellers can be matched directly from all over the country at very little cost. Rather than relying on price advisory systems, traders can bid or ask at different prices and discover the demand at those price levels. The double auction system, in which buyers and sellers communicate their preferences separately and a market clearing algorithm finds matches, is also uniquely suited to rural traders with only basic phones. We recently visited Owino market (one of the largest markets in Uganda) to promote Kudu. The reception was great and we got several traders texting to buy agricultural produce. Enjoy the pictures! Here, I was explaining to the Maize millers' chairman in Kisenyi-Owino, the benefits that Kudu would bring to the maize business in Uganda. He highlighted challenges of price fluctuations and the desire for traders to have timely access to these changes. He liked the idea of obtaining real-time information using SMS at costs lower than making voice-calls to agents in several districts of Uganda that traders incur. Kudu handles real-time price information based on locations. The system has a break-down of locations in Uganda from the regional, district up-to the parish level. Farmers are registered in the system with their parish information to guide the process of collecting transactional information. We recently visited Kalerwe market in Kampala to assess the impact of Kudu on Trader activities. The raw video here is in Luganda. Enjoy!